The housing recovery ought to be gathering steam, since the economy is improving, the unemployment rate is falling and banks are easing up on lending standards. Yet the opposite seems to be happening, with home price gains flattening out and sales of existing homes--the vast majority of all sales--dipping. The turbulent housing market of the past decade or so has left many experts guessing about whether housing will resume its central role in America’s economic life, or become less of a factor as budgets decline and priorities change. Home prices fell by about 35% on average from 2006 to 2012, according to the S&P/Case-Shiller index, and they’ve bounced back by about 25% since then. But the pace of growth is likely to slow in 2014. Many analysts expect modest price gains of 5% or so in 2014, but another downside surprise is distinctly possible. “There really is a worry we might see falling prices by 2015,” says Shiller. Americans now view a home as a poor investment. The Case-Shiller-Thompson survey of home buyer expectations shows potential buyers, on average, expect a home to appreciate just 3% per year over the next decade. That’s about 1.5 percentage points lower than the average mortgage rate right now, which means money invested in a home would basically offer a negative return. In 2004, near the peak of the bubble, the expectation was a 12% annual gain for a decade. That was clearly outlandish, yet in a healthy market, expected gains on a home should at least be higher than the average mortgage rate. When it’s lower, rational people will spend their money on something else. Institutional buyers may be largely responsible for the housing rebound. Sales of residential properties to investors spiked in 2012, to about 8% of total sales, according to research firm RealtyTrac. That may not sound like a large percentage of the total, but in a market characterized by tepid demand and limited supply, investor activity may have been enough to account for much of the 11% gain in home prices in 2013. If so, that may have created the false impression that healthy demand from ordinary buyers was pushing up prices. 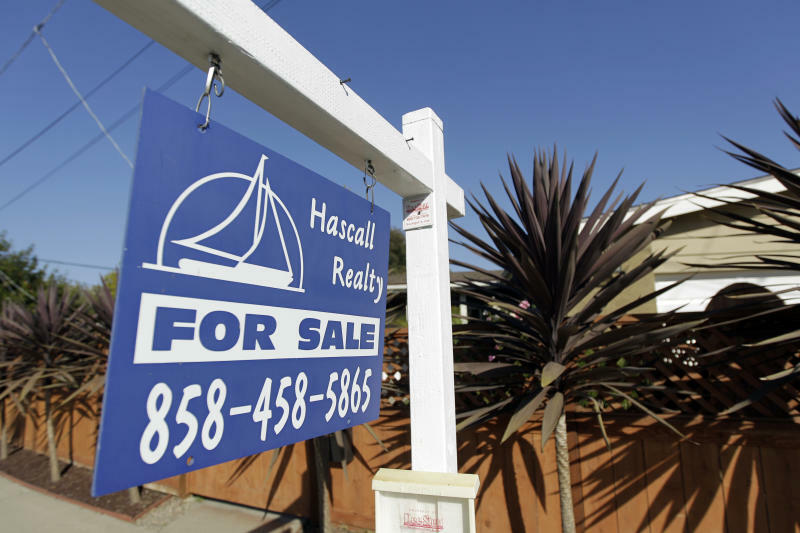 With interest rates and home prices both heading higher in 2014, housing may be less of a buyer’s market, scaring off investors hoping to buy at the bottom. That could reveal a market in which fundamental demand is weaker than expected. Americans are spooked about the entire economic outlook. Consumer confidence has been up and down and remains far below where it was before the recession. The portion of Americans who feel the country is on the wrong track is more than 30 points higher than those who feel things are going right. Buying a home generally requires a sense of optimism about your own circumstances and, more broadly, the economy in general. Americans aren’t feeling it. It’s entirely possible that, at some basic level, homeownership still retains the same allure it has for the past 50 years, and we’re still in the process of shaking off the psychological and financial sting of the housing bust. In the meantime, however, homes are getting less affordable, especially for first-timers. Tomorrow's homeowners could be waiting themselves out of the market.